Nintendo of America have provided further information regarding the Deluxe Digital Promotion, which had been announced earlier this year. Those that purchase the Wii U Deluxe Set will be able to earn points when they purchase downloadable games from the Nintendo eShop, which will reward them with redeemable codes that provide additional funds. Such points will be awarded with an equivalent value of approximately 10 percent of whatever is digitally purchased. So New Super Mario Bros. U, which is priced at $59.99, would earn you 599 points. For every 500 points that Wii U owners earn, you will receive a code worth $5 in credit that can be used in the Nintendo eShop for either Wii U or Nintendo 3DS. 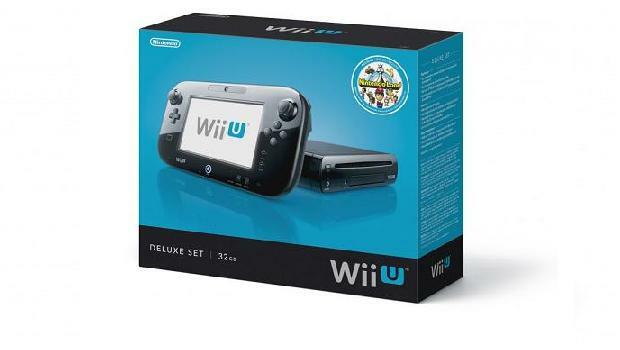 Points will be earned on all digital purchases made on a Wii U Deluxe Set between November 18th 2012 until December 31st 2014. Nintendo will also launch a Deluxe Digital Promotion website in December, allowing participants to see the points they’ve earned and receive codes for Nintendo eShop credit by signing in with their Nintendo Network ID and password. Codes must be received at the website by March 31st 2015, and exchanged for Nintendo eShop credit on Wii U or Nintendo 3DS by June 30th 2015. Such credit, once received, will not expire. “From day one, we want Wii U owners to experience the full breadth of great downloadable games and content available for the console,” commented Scott Moffitt, Nintendo of America’s executive vice president of sales & marketing.